Some of you are concerned about the sizing of the jerseys that we are ordering. 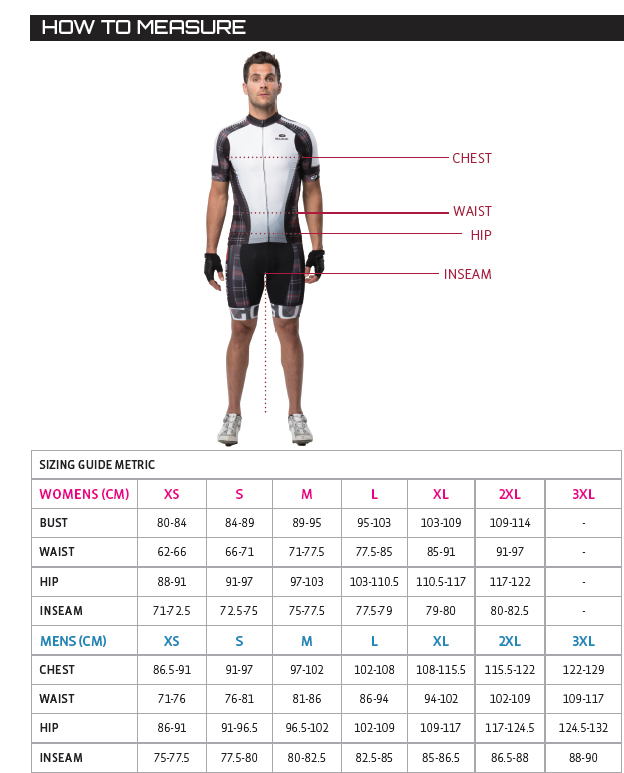 The samples are no longer at Runner’s Den so here is the Sugoi sizing chart to help you choose. The style we are ordering is Evolution Sugoi calls it “Semi-Fit” meaning it is not a tight fitting race jersey not a baggy relaxed fit style.